Quick, easy, nutritious and delicious: A one-bowl vegan and protein bar reminiscent of a slice of soft vanilla cake. Free from gluten, refined sugars or weird additives. 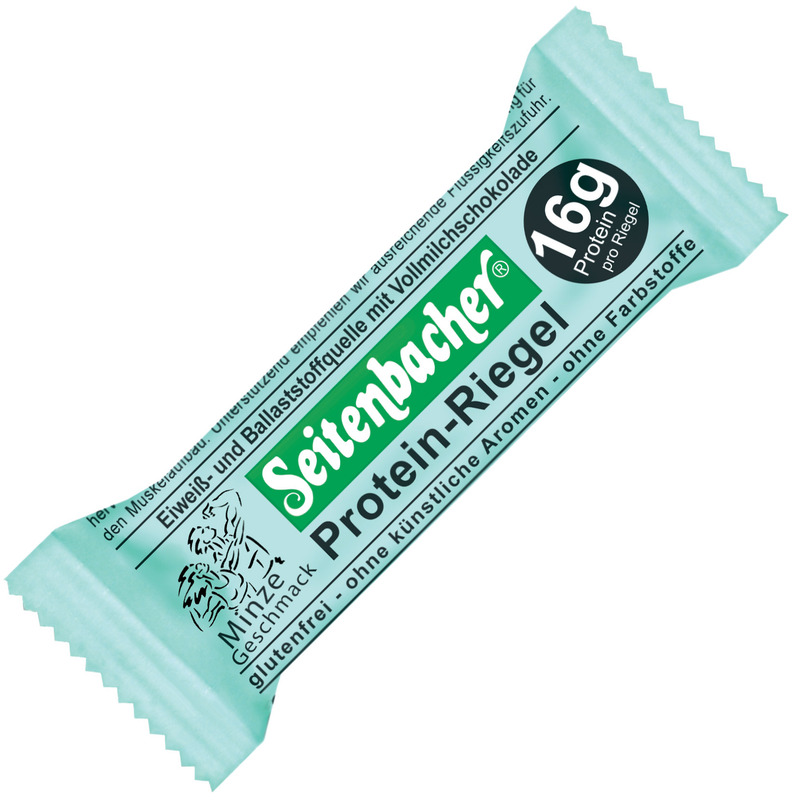 Which didn’t bug me much because the protein bars available at stores around here are nasty. The only one I ever bought years ago – I can actually recall the time, brand and flavour of the bar – wasn’t awful in terms of taste. But it was a candy bar disguised as a healthy snack. The ingredient list: Sugar. Sugar. More sugar. Oh, and some protein. Processed soy-derived. Aren’t you getting hungry reading that?! These? Are the opposite. Granted, that other bar won the award for appearance – how hard is it with a thick chocolate?! coating – but we already know it’s the inner values that count. Protein not only from the powder but the peanut flour and even in the chickpeas, too. A funny story or realization about those: I had my mind set on using salted peanuts here. -But-: you haven’t seen my overflowing cupboards yet. No unneccessary purchases for me. A realization and my only regret about this recipe is my habit of preparing small batches. The one I prepared Saturday was meant to last me for the week. Yet there I was whipping up another pan a day later. I’m officially addicted. But it’s a good one. Stir in milk and syrup to combine. You’ll want to reach a slightly drier cookie dough texture. Put the mixture into a greased 8 x 8 inch baking dish and press down firmly. Bake for about 10 to 12 minutes or until the top feels firm but not dried out. Take out of the oven and dust the top with additional cinnamon inmediately. Let cool before slicing into bars. These keep best in the fridge. * These are gluten-free if using either psyllium husk or gluten-free oat bran. The texture is most cake-like with the oat fibre but still fine elsewise. ** This will add some sugar so omit if opting to stay all sugar-free. Because everybody – now even me – likes protein, bars and protein bars I’m sharing these with Gluten-Free Tuesdays, Strange but good, RecipeFriday, Gluten-Free Wednesdays, Recipe of the Week, Allergy-Free Wednesdays, Real Food Recipes, Tasty Tuesdays, Healthy Vegan Friday and #glutenfreefridays. Happiness-inducing today: An e-mail from a friend I hadn’t heard of in a while. What’s your favourite kind of protein bar? Chickpeas instead of nuts: Strange or awesome? Have you made your own protein bars before? I have never made my own protein bars before but these look and sound delicious! It was my first time here, too, and actually so easy. Give homemade bars a try some time. This body builder would totally eat these! I’m loving the NuNaturals products and always looking for a new recipe. Thanks for linking up! Well, we both do chick[peas or -en]. What up, chick then!! All the chickpeas for both of us then. Good thing we don’t live in the same city or we’d probably be fighting over the last can at the store 😀 . Hi, visiting you via Healthy Vegan Fridays, that recipe looks and sounds delish! Thanks for sharing. Hi back! Thanks for stopping by and I’m happy to hear you like the looks of these. I know. It seems like such a weird ingredient but works it magic here. Thanks for stopping by! I could totally go for one of these! I LOVE cinnamon! Me, too. Cinnamon addicts united! While I’m not generally opposed to sugar I’ll have to agree and say it’s been nice to turn to these instead of sugary treats when an energy slump hit. Plus, with the protein these definitely have more staying power. Thank you, Caroline! The high prices of most protein bars don’t seem in line with their not too appealing or quality-screaming ingredient lists. At least it’s like this over here. And I’ve never seen one with added chickpeas so I clearly found a niche here, haha. Hi and thanks for linking up with Tasty Tuesday Linkup Party this week! I would appreciate if you could add the link back or the badge to the party. Thanks again and I look forward to reading more of your posts. Thanks, Hayley, they work amazing in these. Let me know if you try the recipe! These sound great! I love chocolate protein bars… but yea, I prefer a little less sugar and a little more protein when it comes down to it (at least for workouts haha ;p). Thank you so much for sharing these at Healthy Vegan Fridays! I’m very excited to feature this recipe this coming Friday. I have pinned this to our Pinterest Board too! ps. your napkins are adorable! Thank you, Kimmy! I’m glad you like the look of these and want to feature them. And yes, those napkin … they were a special offer last winter and I -had- to get them. I actually AM a protein bar lover hehe (just for the convenience and loving protein), but these look amazing! And I’ve been loving chickpeas lately..roatsed as a snack? YUM. My opinion on protein bars would probably be different if we had an actual choice over here, too ;). But I’m happy we already agree on chickpeas – they’re the best.